Terror Below is a really interesting strategic movement game from Renegade Game Studios. Players must attempt to collect as many worm eggs as possible and deliver them to the mysterious government organization for bounty. However, those worm mamas are attracted by movement, so a careful balance of movement, distraction, and fighting power must be strategically coordinated. 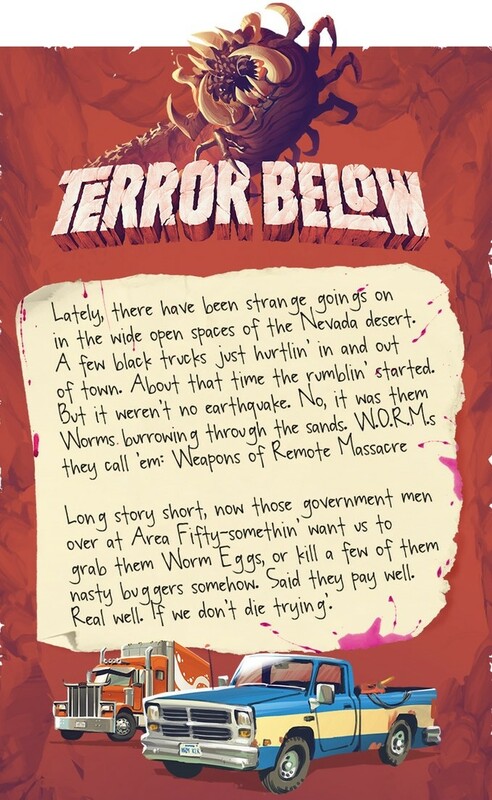 On their turn, players select their vehicle card, which will allow them to distract the worms and move around the desert. Distract the worms away from the eggs you want, while also attracting them to your opponent's location! Then, use your movement to pick up the eggs you want and deliver them for payment. Players then draw back up to three cards. However, worms are hidden in the depths of the deck, and when you least expect it, these slimy suckers will rise up and leave rubble and ruined bodies in their wake. 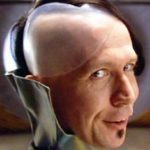 Each player is given three characters with unique abilities, so if one character dies, their heir steps forward to take on their legacy. The first player to reach 20 points is the winner! 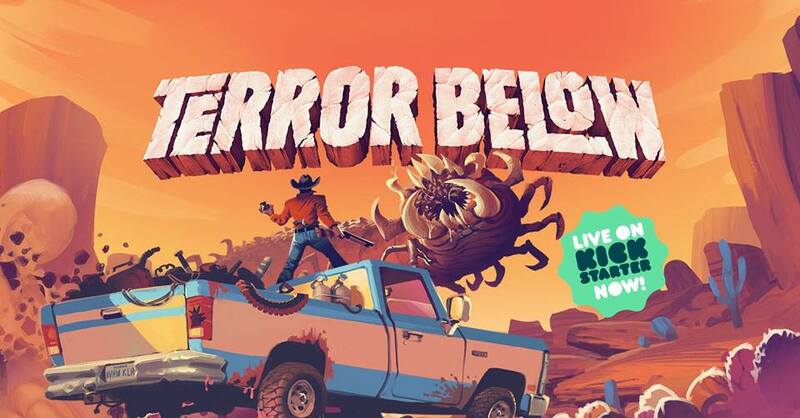 Terror Below is a fun game with a nice nostalgic throwback to early horror films. The quality of the board and the artwork design are fantastic, and the mechanics are light while still remaining interesting. You can gear up and go searching for guts and glory on their Kickstarter here. 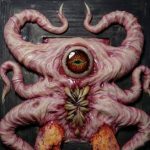 How important is nostalgic artwork in games like these? ooh tremors the game ? nice. Very surprised they don’t have that as at least a stretch goal.